All Google services are free, only few have a more professional version requiring fee. The list illustrates that, through the services and tools offered, a strong trend is emerging, that is replacing the operating system and desktop software for browser running Web applications offline. One area in which Google is becoming the main actor. Many acquisitions have been integrated into the Google site and its services. The sites are redirected to a subdomain of Google. Only the acquisition of which the domain is still active are listed here. This list is completed by the List of Google Tools. Sharing video website that uses Flash for display videos on any website. Bought by Google in 2006, its expansion is still continuing while the service develops. Many sites have tried to imitate it with little success except Dailymotion. Dedicated to HTML 5, provides tutorials, demonstrations and tests for browsers. Instantiation. Java development for the Web. All For Good. Find and share volunteer activities. Browse the site for activities near your location. Platform of blog hosting now merged with Google+. A domain name may be associated with a blog. The site is blogger.com but the blogs are hosted on subdomains of blogspot.com. A graph of persons, places and things built by a free community. Google+ is Google's reply to Fecebook, (next to Orkut), a social network which allows you to connect to a group. It integrates Circle for creating online groups but also other tools with a long-term prospect of an exchange network as common as the search engine. Admob. Acquired for US$ 750 millions, it is a mobile advertising network. Android. Site of the mobile operating system. Double Click. The advertising site was bought in 2007 for $ 3 billion. Zagat. Restaurant reviews. Could be integrated in Google+. It is a perfect complement to Hotel Finder. BumpTop. 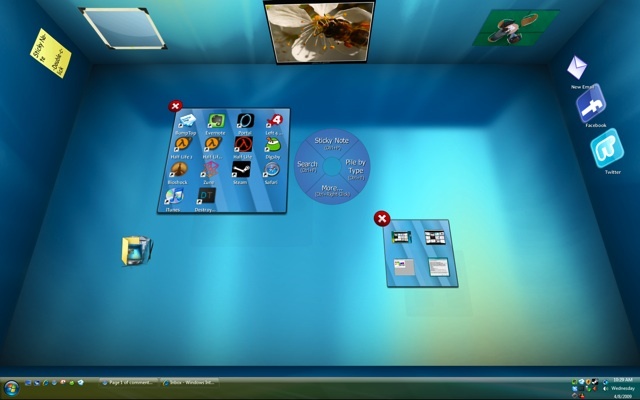 A 3D desktop for Windows and Mac. It supports multitouch and gesture interfaces. Google Art Project. Online visit of all museums around the world. Google eBooks. Million of free or paid books, now Google competes Amazon. Google News. Selection of news taken automatically from registered websites. Hotel Finder. A specialized search service to find the hotel that fit your needs in the place where you go. ITA Software. Travel information software, acquired by Google on July 1, 2010 for US $ 700 million. Nest. In 2014, Google acquired for $ 3.2 billion the company that builds home automation. It's best product is a smart thermostat. Store. Online shop. There is also a specialised search engine to it, Google Enterprise Search. Teach Parents Tech. Set of video to teach the very basic or computer technologies. Think Quaterly. Free online magazine. Widevine. TV on demand. (December 2010). We must add to this list the 8 robotics enterprises and sites acquired in 2013, but they could be merged into one. Official Google Blog. Blog of the company. Analytics blog. Announcements about the statistics Web service. Adwords API. Information on the Adwords API. Base Blog. Information by the team of Google Base. Blogger Buzz. Dedicated to Blogger. Chromium Blog. Dedicated to the Chrome browser and its development. Code Blog. Sharing information on the code of applications from Google. Docs. For the online word processor. Enterprise. About Google Apps and enterprise in relation with Google. Inside AdSense. Information about the Adsense program. Inside AdWords. Information on the Adwords program. Maps API Blog. For the Maps API. Reader Blog. News, tips and techniques about Reader. Research Blog. Scientific research and Google. Google Talkabout. Voice and Google Talk. Webmaster Central Blog. Official news on the search engine.